In any transaction, one party is typically considered the winner. In real estate, this could mean buying a home for the lowest price possible or selling it for the highest price possible. Real estate market trends tend to swing between advantaging the buyer, called a buyer’s market, and the seller, called a seller’s market. These swings reflect changes in supply and demand for properties, which are influenced by a variety of factors. These include employment, inflation, mortgage interest rates, immigration, construction, investment and government assistance programs. The condition of the world and local economies also influence these movements. A buyer’s or seller’s market in one locality does not necessarily connote a buyer’s or seller’s market everywhere else. In addition, not all buyers or sellers markets are alike. Some markets are more favorable to buyers and less favorable to sellers than others, and vice versa. Markets are neither static nor binary but constantly in motion. Different areas can all be in a buyer’s or seller’s market individually at the same time. Whichever type of market you are in when you want to buy or sell your home, the best way to ensure yourself the best chances of getting a good deal is to work with a licensed real estate agent or realtor with experience in your area. To best understand the distinctions of a buyer’s and seller’s market, it helps to understand what constitutes a balanced market. In a balanced market, the supply and demand for properties are approximately equivalent. In balanced markets, home prices rise in accordance with the average long-term inflation rate instead of faster, as in a seller’s market, or slower, as in a buyer’s market. In a buyer’s market, there are more sellers of properties than buyers of homes. This type of market allows buyers to make lower offers. This leads to more homes on the market at once, giving buyers more choice and sellers more competition. In a buyer’s market, buyers can take more time looking at homes and analyzing their choices. This can leave homes on the market for longer. In a buyer’s market, home prices can drop or remain stable at prices lower than inflation. Sellers need to put more on the table when negotiating with buyers in this kind of market to make a sale, as buyers have more leverage. Sellers may need to accept conditional offers requiring certain actions be taken or provisions made to make the sale at the offered price. Buyers can also impose inspection or financing conditions as part of the transaction. If you are looking to sell a home in a buyer’s market, set your asking price at the lowest price you are willing to accept. Do not try to elicit buyers to talk you down from a higher price or compete to offer you more. Consider making seller concessions, like splitting closing costs, accepting a smaller down payment or moving out sooner than you planned. When selling your home in this type of market, make sure your home is in perfect selling condition. Keep it impeccably cleaned and maintained, staged to sell and move-in ready. In a seller’s market, there are more buyers than sellers of homes, allowing sellers to command higher prices. This leads to fewer homes on the market at once, giving buyers less choice and sellers less competition. Buyers need to make higher offers in this kind of market to compete with the multiple offer’s sellers receive from other buyers. Conditional offers may be refused as plenty of other offers come in without condition. 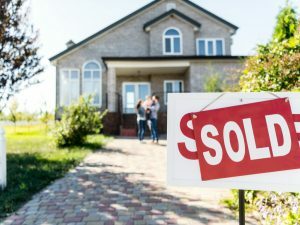 If you are a seller who has yet to find your next home, you may even be able to negotiate leads-back agreements in which you can rent your old home for a short period after the sale until you finalize your move. Sellers markets are sometimes called “renter’s markets” as many would-be homebuyers end up opting to rent a home rather than buy one at current prices. If you are looking to buy a home in a seller’s market, act quickly without haste or delay. You have less time for indecision. Present your best offer first, not a low offer. Get preapproved for a home loan before you present your offer, so you can give the seller assurance of your ability to make good on your offer. Offer a decent deposit to demonstrate your seriousness. One tool for analyzing markets is the sales-to-active ratio, representing the proportion of active market listings resulting in actual sales. A sales-to-active ratio of 20 percent, for example, means 20 percent of homes on the market were sold. The higher the ratio, the better it is for home sellers, and the more a sign of a seller’s market. The lower the ratio, the better it is for home buyers. In a balanced market, the sales-to-active ratio tends to range between 12 and 19 percent. In a buyer’s market, the sales-to-active ratio is 11 percent or under. In a seller’s market, the sales-to-active ratio is 20 percent or over. Home inventory numbers are also great signals of property supply and demand. Low inventory numbers of homes for sale suggest a seller’s market while high inventory numbers of homes for sale suggest a buyer’s market. By comparing current inventory numbers to those of different times of the year and the same time of year in year’s past, you can better gauge the present market health and direction. While many factors influence market swings, some of these factors are predictable, including seasonal trends and economic trends. Summertime tends to be buyer’s markets, as more homes typically go up for sale between June and August. In the winter, there tend to be fewer homes on the market, lending to more of a seller’s market. Struggling local and world economies often promote buyer’s markets, as more homeowners need to sell their homes and fewer shoppers are prepared to buy one. Booming economies with job and industry growth tend to promote seller’s markets, as more job seekers flock to the area.